Today, Jeeran is making location reviews in the Arab World a more social experience, by launching an updated iPhone app and website that are completely integrated with Facebook. The new app forces users to sign in to the Jordan-based review site using only their Facebook account, in a bid to enhance customer accountability while providing new features. The app can now automatically detect a user's city, allows users to add new offline places to the community, and integrates Facebook's open graph to display actions taken on Jeeran on Facebook Timeline. It's clear that the Jeeran team felt that the move was essential for gaining traction with consumers and ensuring content quality as the platform scales. The platform integrated with Facebook for two main reasons, says co-founder and CEO Omar Koudsi. Firstly, "our site depends on the authenticity of the users who are writing the content. One way to make sure we have high quality content is to make sure the people wring the reviews are real." Secondly, he says, "We value the opinion of our friends more than that of strangers. 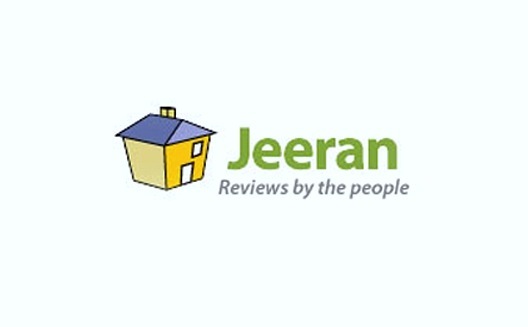 Jeeran makes use of that fact by highlighting the reviews of your friends." On the new app and website, users can then browse either their friends' or elite users' activity. The move makes sense for the Jordan-based platform, which could face a slowdown in customer uptake if content is seen as a static resource or users in the region don't maintain an appetite for reviews. It can also be difficult for review sites like Yelp to find a clear path to profitability, thanks to the difficulties of selling online advertising to companies newly coming online (to which Jeeran caters). Thus integration with Facebook is a big step for Jeeran, towards encouraging viral content and creating a more engaging experience. The Jeeran team is looking to focus in on its consumers in Jordan and Saudi Arabia, before exapnding too quickly, says Koudsi. The vast majority of these users- 80% and 99% in Jordan and Saudi, respectively- user Jeeran in Arabic, and with over 3,000 buinsesses on the platform, and 800,000 visitors a month, the site is not lagging. The next question is, will Jeeran procced to go beyond places, into offering reviews of merchandise, food, and general items for sale, similar to the arena that co-founder ex-Jeerani Laith Zraikat is working in with Olgot? Koudsi won't reveal much about Jeeran's exact future direction, but Jeeran has recently shifted its slogan and position from "Places in Your City" to "Reviews by the People"... we'll have to stay tuned.